Learnmera Oy is a private language education and translation provider in the greater Helsinki area , which provides business language lessons,translations and proofreading services. Courses are offered in the major Nordic and European languages, as well as beginners’ course sin English, Finnish, Swedish, French, German and Russian. Learnmera Oy has considerable experience in educational resource creation,website creation and app content building as well as online vocational courses. Their free published language learning and cultural material online has had hundreds of thousands of downloads to this day. Learnmera Oy have been active within different European projects since 2008. In addition to the above-mentioned services, Learnmera also provides IT services specially directed towards corporate clients and institutions that want to improve their customer interfaces and social media presence. A list of projects Learnmera has previously worked on can be found here. Folkuniversitetetis an adult educational association that offers a wide range of adulteducation all over Sweden. It is an association of five foundations:the university extensions attached to the Universities of Stockholm,Uppsala, Göteborg, Lund and Umeå. We have a broad open educationalprogram in a variety of subjects; we also run upper secondaryschools, schools in higher vocational education, courses for seniorsand training, labour market education and further education andtraining for working life. Folkuniversitetetis independent of all political, religious and commercial interests. Internationalcooperation, pedagogic development, democracy and focus on theindividual are central values for us. We have given importantcontributions to development of Swedish education and training, forexample evening classes, language centres, Swedish for immigrants,college and ICT-based education. Visions and ideas for betterlearning methods are developed and tested in project groups, often ininternational cooperation. Coaching, mentorship, validation,entrepreneurship, learning in working life, empowerment and activeguidance based on individual needs are examples of areas we aredeveloping and implementing in our own organisation. 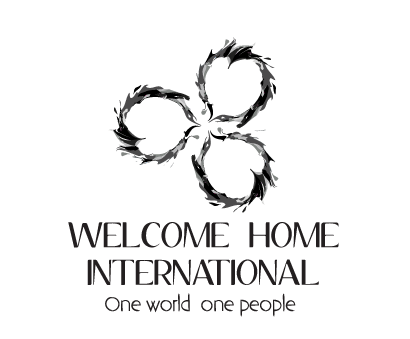 Welcome Home International is a non-profit organisation providing encouragement, education and assistance to newcomers during their integration. This is achieved through community based engagement developing effective and respectful methods of exchange supporting the four pillars of integration being language, accommodation, employment and community network, while also actively supporting networking, intercultural exchanges and social awareness between arriving and receiving cultures. At the same time collaborating and partnering organisations sharing the common goal to better centralize information and services. CEPER Cehel is a permanent training center in the Andalusian region. They have won recognition in the provincial-regional level (“Antonio Domínguez”) and national (Contraviesa and Sierra Nevada) Migration Award and received an acknowledgment by Miguel Hernández and the University of Granada at the 4th Migration Conference. 60% of students are immigrants who need to learn a second language. Currently, C.E.P.E.R. organizes adult courses aimed at obtaining the basic qualifications; Teaching then develops at a secondary level and with training plans to promote active citizenship. The activities also focuses on curriculum, methodological strategies and C.E.PER. Cehel has developed and co-ordinated primary adult education activities that use new technologies, or innovative learning activities in adult learning literacy. Spanish language programs are available for adults with difficulty in integration and low level educational background. C.E.P.E.R. realizes adult education programs for the transfer of democratic, social and cultural principles, and, within the framework of the Grundtvig projects, lifelong learning programs, education (innovative training) and working life (with other institutions). C.E.P.E.R Cehel collaborated on the “Rural Project” (European Commission) and the 2007 Social Responsibility Report. The Foundation for Women and Welfare is engaged in matters of social importance such as first and second line health care, voluntary work, education, and reintegration, Mediation & Life coaching. Through training, courses and theme days we share our knowledge about social issues that affect ethnic groups. We also fulfill an advisory role for professionals to apply the acquired knowledge in practice. The Foundation for Women and Welfare has an interesting training offer for policy staff, professionals and volunteers who work in the field of care & welfare. We offer training throughout the year. In addition to knowledge transfer, we also organize activities and projects for groups of different ages and backgrounds. We guide the implementation of projects and activities using volunteers. The projects and activities relate to meetings, Dutch language classes, recreation, sport, art, culture and / or citizenship. • Women and children must be fully part of society in all forms. • Increase the self-reliance and labor market position of vulnerable groups. Throughout all of our interventions whether with private clients or professionals in the field we emphasize the need for improving language skills and help building bridges. All to the final purpose of having the private person integrate as as fast as possible and find their way and place in Dutch Society. BURGED is an organisation which nurtures and coaches individuals and organisations who have no previous experience in social entrepreneurism, social innovation, opportunities in education and European projects. Burged coaches in disadvantaged communities, marginalized communities and support those who seek to make a difference with their work and quality of education. Burged is focused on reducing dependency on the state, on enabling disadvantaged individuals, disadvantaged communities to develop and successfully deliver their own solutions to unemployment, poverty, marginalization,social exclusion and deprivation. Burged is working with Local public bodies, Municipalities about many educational issues, social duties and responsibilities to reach all related stakeholders and make them aware. – cooperation with Universities to make education strong and innovative. – providing in-service trainings such as PCM,IT,English Speaking Sessions.